SAN DIEGO, Calif., Nov. 12, 2018 (SEND2PRESS NEWSWIRE) — Over 60 Spine Fellows and Young Surgeons from the United States’ top spine centers and hospitals across the U.S. will attend the 8th annual Spine IEP Fellows & Young Surgeons’ Course, to be held in San Francisco, Calif., November 16-18, 2018, Magnifi Group announced today. A record 36 medical device companies will participate in the didactic sessions. Surgeon attendees will be led by a team of distinguished faculty members. Course Director, Dr. Gurvinder Deol, Chief of the Orthopaedic Spine Service at WakeMed Health and Hospitals, Raleigh, N.C., and Clinical Assistant Professor Department of Orthopaedics UNC – Chapel Hill School of Medicine, said the three-day course has been developed specifically to educate Orthopaedic spine and neurosurgery Fellows and Young Surgeons on current topics pertaining to the practice of spine and neurosurgery. “The course is also designed to assist Fellows with their transition from Fellowship to practice in various settings, whether academic, private, or hospital based,” Dr. Deol said. The format of the course is highly interactive – all lectures include a question and answer session and there are a number of panel discussion, debates and case study presentations over the three days. Fellows and Young Surgeons will also participate in three didactic sessions with all the course sponsors. The invitation-only annual course will commence with a reception at 5 p.m., November 16, 2018 at the Fairmont Hotel, San Francisco. For more information, visit the 2018 Spine IEP Fellows and Young Surgeons’ Course website at https://www.spine-iep.com/sfc/index.html. Magnifi Group is a developer of dynamic online training solutions for leading global corporations. The company also hosts a live course for lower extremity surgeons – Lower Extremity IEP Fellows and Young Surgeons’ Course. The company was founded in 2002 and has offices in San Diego, Calif. and Wiesbaden, Germany. For more information, please visit https://learn-wise.com/. "The course is also designed to assist Fellows with their transition from Fellowship to practice in various settings, whether academic, private, or hospital based," Dr. Deol said. Magnifi Group, Inc. is a developer of dynamic online training solutions for leading global corporations. The company founded Learn-Wise, a highly customizable and intuitive virtual cloud-based Learning Management System (LMS), and Access-Wise, a comprehensive and streamlined solution for controlling non-employee access to facilities. 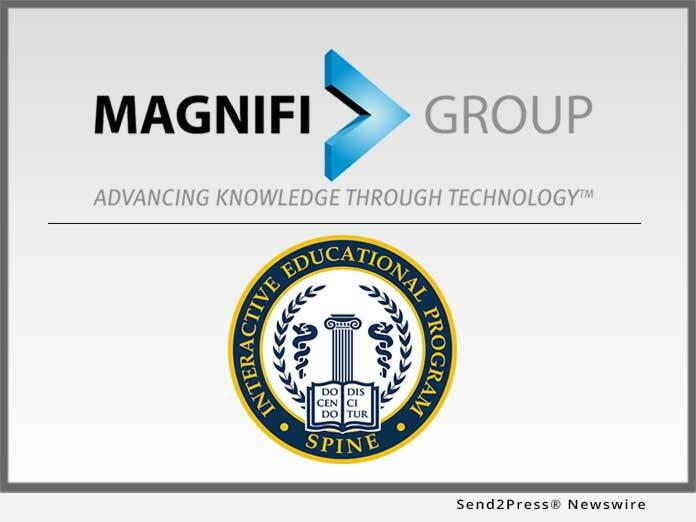 Magnifi also hosts the Spine IEP Fellows and Young Surgeons’ Course and provides interactive solutions for instructional design and mobile applications. The company was founded in 2002 and has offices in San Diego, California and Wiesbaden, Germany.